The desirable location allows for quick, convenient access to Mizner Park, the Spanish River Beach, Delray Beach, and the restaurants, shopping, and nightlife on Downtown Delray Beach’s Atlantic Avenue. 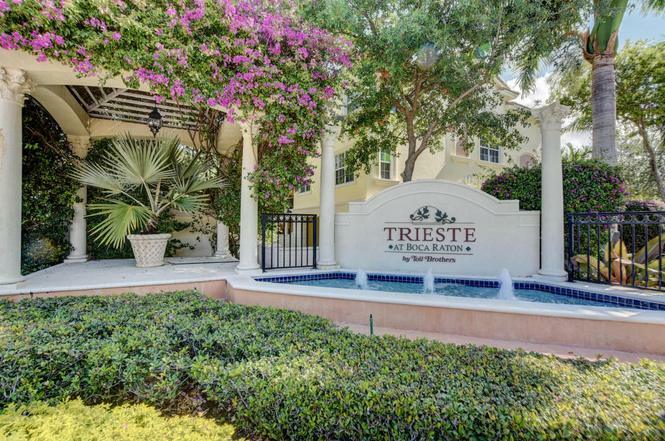 Trieste at Boca Raton is an intimate gated community of just 109 tri-level townhomes. The community features award-winning landscaping throughout, a resort-style swimming pool, as well as jogging and biking paths that take you through gazebos, trellis’s and bouganvillas that are a part of Trieste’s charm.